Sometimes, I look at my dog and think - "I wish my life were as simple as yours!". It can be hard to find the perfect balance in life when you're trying to juggle kids, pets, blogging, cooking, cleaning, etc. Thankfully, my dog is there to help me see the simpler side of life and she's a great comfort whenever I need a little pick-me-up. And I'm there for her as well. Dogs help reduce stress. It's a proven fact that pets help to reduce blood pressure. So take some time to sit down and cuddle with your pup. If you want to help de-stress your dog, spend 10 minutes a day to give them a nice massage. It will help increase your bond with your dog too. Stop and take a deep breath. Dogs remind us to stop and breath. Just take a look at your dog when your out in the yard enjoying time together. Notice how your dog is never to busy for a good sniff? Dogs have a keen sense of smell and can benefit from aromatherapy to help with their own stress. Lavendar and chamomile oils have been shown to produce relaxation behaviors in dogs. Check with your vet before trying aromatherapy with your dog. Get up and get moving. Having a dog helps you be more active. According to a 2006 study from the University of Victoria, dog owners are more likely to participate in mild to moderate physical activity than those without pets. Giving your dog a job during your walks can increase his focus and sense of purpose. Try giving him a harness pack to wear on walks. Be inspired to eat smart. Sometimes, when life becomes stressful we overeat or indulge in comfort foods. 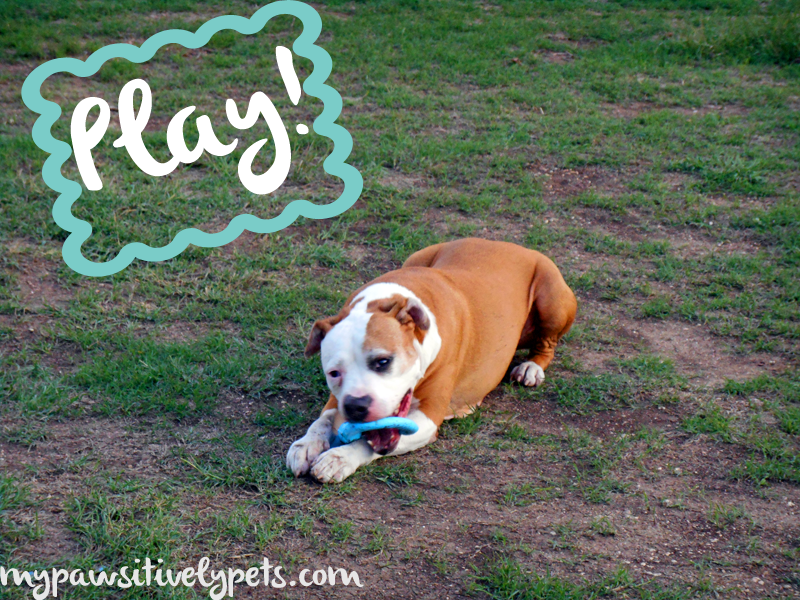 Instead of digging into that tub of ice cream or cake, take a break to pet or play with your dog. The resulting endorphin high is a healthy substitute for unhealthy snacks. The infographic below from Purina has some more great tips on keeping your and your dog's life balanced. Get plenty of beauty rest. Wake up from your naps every now and then and have some fun playing! Be sure to eat good food! Shiner got to try out some different flavors of Purina ONE SmartBlend wet dog food and she thought they were delicious, as you can see in the picture above. The SmartBlend wet entrees have a balance of ingredients that are made with real meat or poultry and include real vegetables. They have a balance of vitamins and minerals - 2x the AAFCO recommended minimum for antioxidants. Finally, they have a balance of taste and nutrition. Shiner agrees with the tasty part! 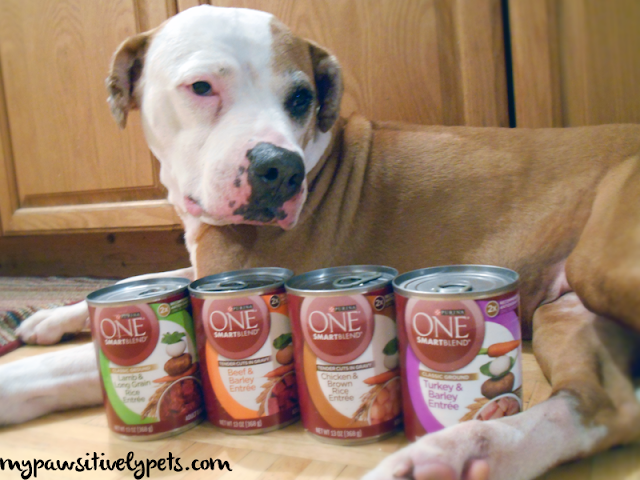 We have some coupons for Purina ONE SmartBlend wet dog food that we'd like to share with YOU. These coupons are good for $1 OFF 3 cans of this food. Two readers can win 4 coupons each. We're also giving away one Moleskine Dog Journal to help you balance life with your dog. 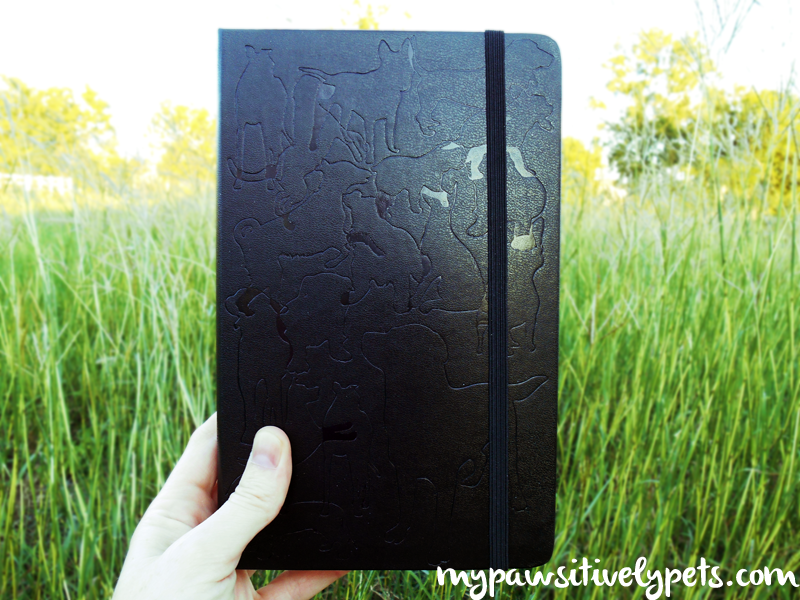 The cute journal, which is pictured below, is a great way to keep up with your dog's life. It has a special place to keep your dog's friend's information, record your dog's meals, walks, grooming, training and more. 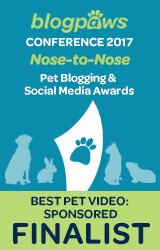 You can also make traveling checklists and include dog friendly facilities. Along with the journal, you will receive 2 coupons. The giveaway is open to US readers only please. It starts now and ends October 9th. To enter, please just leave a comment and then enter the Rafflecopter form. There are some other optional ways to gain more entries in this giveaway, but they are not mandatory. Good luck! 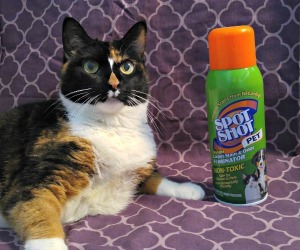 Disclosure: Pawsitively Pets was provided these products free of charge. All opinions expressed here are our own and we only share information we feel is relevant to our readers. 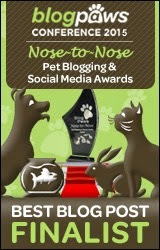 Sorry Mollie :( I swear next week on my blogiversary, you can join!!! Balance really is so important and I will start on the sleep part right away! Can anyone in the U.S. adopt me? LOL Good luck to all! 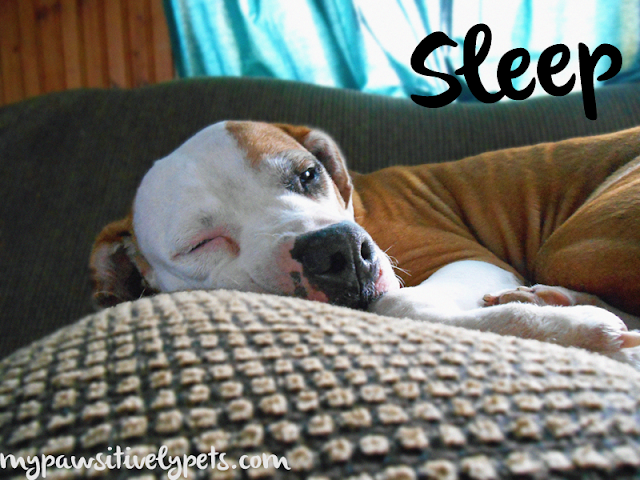 Shiner your sleeping picture is fabulous! Ha you are totally right Goose! The cooking thing wasn't something I had really thought about before writing this, but it's totally right! He gets me up and moving and motivates me! Great tips! We love sleep and play! And we normally eat good stuff... but it's tempting to eat the bad stuff when we are stressed! Great tips! Shiner is adorable!!!! Aww I bet you do miss her! That's a long time to be away. Very well said Beth. It's amazing how much they can add balance to our lives once we think about it. It's so true...I am so much more active because of having dogs. They make exercising more fun - they'll go at whatever pace I want to, and never make me feel like I have to keep up! They don't want to hear my excuses either! They also remind me to stop and take a deep breath sometimes, and just relax and chill out, or just have fun! Those are great tips! There are times when I just don't feel like getting out of bed, but knowing that I have to take Sookie outside to do her business, feed her, etc. helps keep me moving. We envy the kitties lives too! Lying in the sun, feeling the warmth on your furs, not a care in the world. They have the life! Of course, if you aren't a pampered pet, life can be miserable, but that is a different story all together. 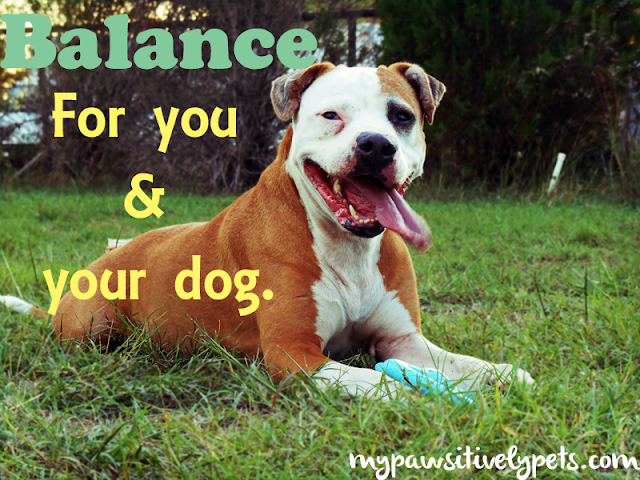 I think all pets bring balance to our life! No matter what type they are. My dogs balance me mentally. When I start to worry about what happened yesterday or what could happen tomorrow, they remind me to savor the now. To live right here, right now, like they do and slow down to enjoy what is happening instead of wasting energy on what may never be. Hmmm, I hope I did it right! This is my first giveaway. I like that journal! Too bad I don't live in the States! I would love to win it! It would probley help me become more organized. lol! 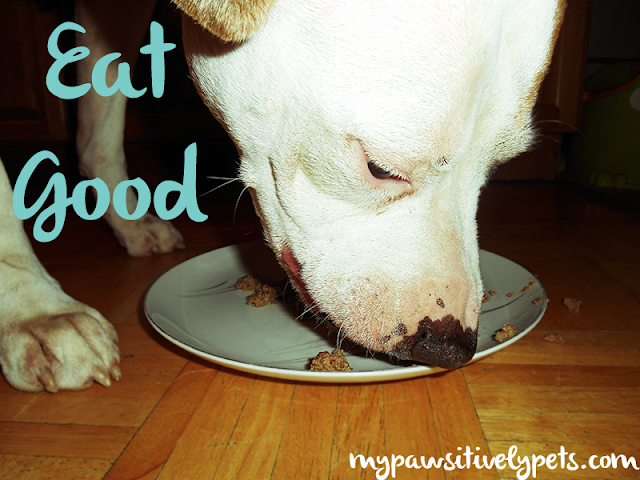 Fabulous pictures of Shiner and I love the info graphic from Purina. I have 4 dogs that help me get through every day. Without them I don't think I could get up and go. We go for walks and that helps me too, we play and snuggle. They bring me lots of comfort and joy. Thanks for sharing Cheryl, they certainly are good to keep us going. I think we are pretty balanced over here as we seldom have any issues as everybody has there needs met and that comes from making time and being considerate. Have a terrific Wednesday.